Buzzfeed content — be it a video, listicle or news scoop — is hitting more than 7 billion views every month, founder and CEO Jonah Peretti said on Monday. That’s up from 6 billion content views in late 2015. The company, founded nearly a decade ago, has quickly become a darling of traditional media for excelling at the creation of clicky content that’s widely shared in the social-network-driven mobile age; last year, Comcast’s NBC Universal invested $200 million in Buzzfeed, lifting its total valuation to $1.5 billion. But the latest stat, which was presented to advertisers and marketers at a series of digital-media events in New York known Newfronts, comes after a report by the Financial Times last month that BuzzFeed missed its revenue target for last year and nearly halved its internal projections for 2016. Buzzfeed has rejected the report, with its chairman, Ken Lerer, saying that business is better than ever. Monday, Peretti said its 7 billion content views are mostly on mobile, with 75 percent consumed through its owned and operated platforms. Buzzfeed defines “content views” as views of videos, articles, lists and illustrations, regardless of the platform. But it doesn’t include homepage or feed views or impressions of link promotions on social networks. In the last year, Buzzfeed has made a push to draw more eyeballs to its own properties after its explosive growth on external social-sharing platforms like Facebook, with moves like launching its own dedicated video app. 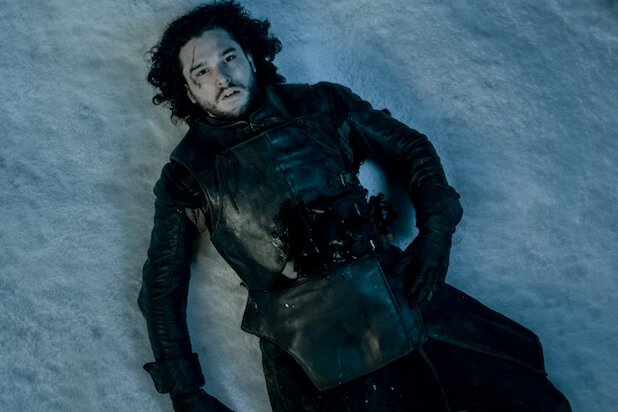 So, did Jon Snow really die in "Game of Thrones" season finale? Did Sansa survive her leap from Winterfell's wall? Before Sunday's return of the series starts unraveling those mysteries, researchers at a German university say their algorithm knows the answers. A student team at the Technical University of Munich analyzed data on all the "Game of Thrones" characters and built a machine-learning program that gives each one a percentage chance of survival or doom. Who is the most and least likely to die next? This boy king is virtually dead already. Tommen Baratheon has a 97 percent likelihood of dying, according to the algorithm. Considering his grandfather, father, older brother and sister have all been murdered, and basically every person with any power in Westeros is vying to steal his seat on the Iron Throne, this doom may not be the biggest surprise. It doesn't look good for fan favorite Khaleesi. Daenerys Targaryen has a 95 percent of dying, putting her at No. 3 in the close race to the grave. Davos Seaworth, Stannis Baratheon's once right-hand deputy, has a 91 percent chance of doom. After barely surviving the battle at King's Landing in Season 2, this Onion Knight may not have long left. Petyr Baelish's cunning vaulted him to money and power, and it's saved him from more than one dire scrape. But he has a 91 percent likelihood of dying, according to the algorithm, so his wiles may not get him much farther. Among those most likely to survive, Roose Bolton is No. 5 on the "might just make it" list. And even though he makes it into that elusive top 5, he still has a 28 percent likelihood of dying. Margaery Tyrell's fate is rosier than her young husband, Tommen, at a 64 percent likelihood of dying. Her father, though, has the best chances in the Tyrell family, at only 18 percent doomed. Most people love to hate Cersei Lannister, but her conniving ways earn her a solid chance of surviving. She is only 16 percent likely to die, putting her at No. 3 on the list of survivors. Bless the all-knowing algorithm! Jon Snow is alive! At least, there's only an 11 percent chance that the Night's Watch mutiny that left him bleeding in the snow actually killed him. Only one other character has a better likelihood of survival. Place your bets now. Although she jumped from the heights of Winterfell's high wall in the finale of the last season, machine learning assures us Sansa is the most likely character of all to survive the "Song of Ice and Fire." She her likelihood of death is only 3 percent.